This post about the Anthropologie Black Friday 2018 promo and other Black Friday deals around the webby world contains affiliate links. Please read this blog’s disclosure post for more info. How did Thanksgiving treat you? We had a wonderful night with friends (I shared a few vignettes on my Instagram stories!) in a group that featured three amazing chefs. My stomach is still stuffed this morning! Although we missed our usual family gathering in Sag Harbor with Alex’s parents, being in Brooklyn this year was a necessity so I could get up early this morning and work! Yes, work, because Black Friday is one of our clients’ biggest days of the year. Today I’ll be trotting all over Manhattan making sure our retail clients’ events that we envisioned, designed and planned went well. I’ll also be there in case our online marketing teams need help with client promos there. What an interesting time it is to be in technology!! Speaking of Black Friday, today is the day. And although many retailers just couldn’t help themselves from launching promos early I am still very excited to do lots of gift shopping today!! Yes there will be shopping for me too. Let’s kick off this roundup post with details on Anthropologie’s promo. This weekend, enjoy 30% off your Anthropologie purchase in-store or online. This promo runs through Sunday. On Monday, there will be a less exciting deal. So please don’t hold out for something better — nothing better is coming! Now I’m a blogger who’s supposed to say use my links to buy everything online, but you may actually want to head to an Anthropologie store today if you live near one, because they’ll be giving out poppers at checkout, and these poppers may have anything from a Spotify playlist to a $500 gift card inside!! In the past we’ve had multiple community members win the gift cards at their stores so I’m not guaranteeing anything but I am saying that this community is pretty lucky!! You can get all of my Anthropologie picks here. Below, 25 favorites. And now — the rest of the deals! Because I am working today I’ll only be able to check in periodically, possibly not before the end of the workday. I’ll also share some of my hauls in the comments, because boy have I been a’haulin!! So please support each other and I’ll chime in when I can. Happy Black Friday Hunting everyone!! ANTHROPOLOGIE | Take 30% off everything. | Is it worth it? Yes. We won’t see a deeper full-price promo. | Picks: The Bias Satin Skirt (now $83) is so surprisingly flattering on! I have it in pink and will probably get the grey too. If you want to splurge this cami gets my vote. So many more picks in this post! Below, 25 favorites including a few gift ideas! ATHLETA ADDED 11/23 | Take 20% off your purchase with code BLISS. | Is it worth it? Yes! Athleta rarely does promos. | Picks: I’m a huge fan (literally, hello 32DD!) of their Panache Sports Bra (now $56). It ‘divides and conquers’ as Athleta cheekily labels their D + DD page. They have a newer wired version of this bra that I haven’t tried yet but it comes recommended. I also find their Flux Jogger (now $64) very comfortable. Finally, their Fitted Victory Hoodie (now $79) is one of the key components of my cold weather running wardrobe. BANANA REPUBLIC | Beat the holiday rush with 50% off your purchase. Cardholders get an extra 10% off. | Is it worth it? This is a much better promo than the week started with, and there are no exclusions!! Hooray!! But off course now things are flying off the website. | Picks: I own and love the Aire Turtleneck Sweater ($90) and the Pleated Tulle Midi Skirt (see it on me on my Shoppable outfits page). To see more picks, check this post out. BHLDN | There are new markdowns and BHLDN sale is now an extra 30% off! | IS IT WORTH IT? Now that the extra % is here, yes! | Picks: Even if you’re not planning a wedding right now as I am, there are still beautiful jewelry, shoes and party dresses to choose from. I tried on the Lure of Lace Gown (now $1,200) and it’s one of the only BHLDN gowns I liked on. It’s lovely, but not my wedding dress. I can tell you that I did get jewelry for myself and my bridesmaids at BHLDN! (One peek: these earrings, not on sale.) How gorgeous are these sale heels? (Tempted, I haven’t picked my wedding shoes yet.) And OMG, this dress! Or this one. Or this one. OK, I need to stop before I blow my whole 2018 gift budget, lol. DSW | Get 20% off with code MADHOUSE. | IS IT WORTH IT? Honestly this is pretty meh, I was expecting 30% off! So perhaps not. I have a feeling a buy more/save more promo is coming soon. | Picks: I find Jessica Simpson’s pumps to be ultra comfy! They are all-day wearable for me. I just bought the Carpena (now $56) in leopard a few weeks ago and they’re great; I also have the Levin (now $48) in white. DSW is also my main source of Adidas shoes; their Courtset (on me 1, 2) is one step down from the Gazelle but actually fits me better. FREE PEOPLE UPDATED 11/24 | TODAY ONLY, spend $150 and get $50 towards a future purchase. Take 50% off a whole bunch of stuff in the Black Friday sale. Select sale is also an extra 25% off. No code required; discount reflects in checkout. | Is it worth it? If you want one of these items yes! | Picks: I own and love both the Ela 2 Layer Necklace and the Rae Necklace; either of these would make lovely gifts! The Temecula Maxi Dress is also included in this promo in one color. It’s worth noting that this dress is poorly-rated by the community because of a tight lining; it may be worth a shot at 50% off? Else, there’s lots of crazy expensive stuff in the promo. Just for fun, below are some more picks. J. CREW UPDATED 11/24 | Take 50% off your purchase with code TGIF. | Is it worth it? This is the better promo I was waiting for!!! | Picks: I’m wearing this dress in black to our office Christmas party (with a cardi over it); I think this tartan dress is adorable; you see these d’orsay heels on me all the time, this bag is a fantastic way to try a trend without dipping in too deeply. LOFT UPDATED 11/24 | Take 50% off your purchase. Use code FRIYAY. Plus get 60% off select leggings, including the faux leather leggings seen on me here and here! | Is it worth it? I was sure this 50% off was coming! And yes, now it’s worth it. | Picks: I’m wearing this necklace constantly; more LOFT picks in this recent post. LUCKYBRAND | Take 50% off everything. Sale is an extra 60% off. | Is it worth it? If you like Lucky Brand, totally! | Picks: I do love so much at Lucky Brand! I recommend heading to the coats & jacket section, where items like the Teddy Coat (now $99), Suede Moto Jacket (now $175, stunning in teal), Buffalo Check Coat (now $99), Velvet Blazer (now $70), Sherpa Denim Trucker Jacket (now $75) and more await you. The Puff Sleeve Leather Jacket (now $150) is a great, feminine take on the leather jacket. MADEWELL | Take 25% off your purchase with code DEALWITHIT. (So feisty!) | IS IT WORTH IT? Yes. The best items will sell out now — I’ve already seen some items totally sell through. | Picks: I take a deep dive in this post. MODCLOTH ADDED 11/23 | Take 30% off your $100+ purchase or 40% off your $200+ purchase. | IS IT WORTH IT? I’m very new to Modcloth so I don’t yet have the expertise to say yes for sure, but this seems like a great deal doesn’t it? | Picks: A personal shopping client recently asked for some help picking items from Modcloth, and wow they have such cute stuff! 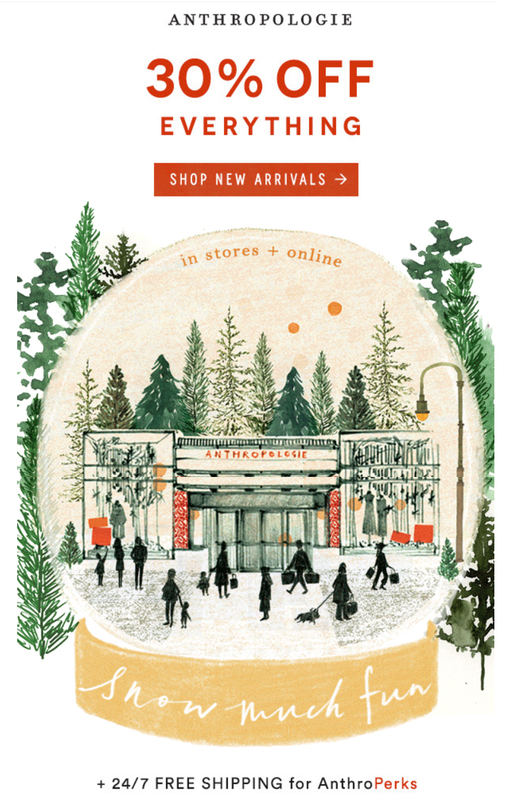 I’m now a fan, in fact Modcloth gets it own holiday shopping ideas post this weekend. In the meantime, I own and highly recommend this dress and these shoes, and think these tights are the cutest thing ever! Here are 25 Modcloth favorites. NORDSTROM | Take up to 60% off in the Black Friday weekend markdown sale. | Is it worth it? For designer deals? Yes. On Monday a Notes perk will be back, but that’s the only kicker to an otherwise already-good promo. | Picks: Three Chloé bags that I love are on sale! Firstly, two I own, the Mini Faye Backpack (now $998 in select colors, on me 1 | 2 | 3) and the Faye Mini Bracelet Bag (now $597, on me). Finally, the Mini Drew Bijoux Leather Shoulder Bag (now $1,307) is on sale and ummm, I think I want it! This cardigan is also really cute. You can check out my recent Nordstrom sale picks here. NORDSTROM RACK | Take an extra 30% off clearance items, for total savings of up to 75% off. | Is it worth it? Oh my goodness yes! If you have the patience to dig through. | Picks: Sizes are extremely limited and go fast in this sale. I recommend heading straight for the boots & booties, where you’ll find goodies like these Kork Ease Mid-Calf booties and short booties, this Klub Nico Chelsea-style boot, and these faux-fur Muk Luks, which are right on-trend. SEPHORA ADDED 11/23 | Sephora is having select $15 Black Friday deals through Sunday. | Is it worth it? If you need or want to try these products, yes! | Picks: This Caudalie Face Cracker (now $15) makes a great gift and has amazing products in it. Caudalie is one of my favorite skincare brands right now — and they’re sponsoring my wedding, so I have a lot to share with them next year. I can vouch personally for the products in the cracker. They work! This Origins Glow On Set (now $10) has everything a girl needs to fight bitter cold weather dryness. WHITE HOUSE BLACK MARKET | Take 40% off your purchase with code 38515. | Is it worth it? For pricier items yes; I think there will be a 50% off sale closer to Christmas but their pricier items (like leather jackets) may be gone by then. | Picks: I own and love this shell with its very subtle leopard jacquard; if you’re looking for an upscale leather jacket at a great deal this is it; this tweed moto jacket fits like a dream and can be worn as part of a suit. Next Post The Modcloth Holiday 2018 collection has everything a girl could want!! BHLDN sale is now an extra 30% off! Will update the post when I’m back in front of my laptop. In addition to 50% off, Express has earrings for $10 and JCrew's website has crashed! Still crashed an hour later — yikes! I just saw on fb they are planning to extend thru tomorrow due to the crash! Probably a good idea! I did end up getting one of the entire looks on their outfits page, the Tartan Funnelneck and the Sequin Skirt in green. I also got the forest green Harper Satchel because, well, drool. Then for gifts, I got the Union Suit Pajamas for one friend, the Vintage Pajama Set for another, and a whole bunch of other stuff for Alex and more! Anthro – is the 30% off just today, or through the weekend? JCREW stores were a mess – people just going through items and leaving piles everywhere. I also could not get into the website. Stores were busier than I would have expected given all of the online shopping. It was surprisingly subdued in Manhattan but in a good way. My BFF and I were remarking on how there were crowds, but not the rush or frantic feelings years past have had. We were able to get everything we wanted to buy, with the exception of the furry Madewell bag I wanted. Stores were full but not packed. Most every store we went into had tons of staff and they were keeping up well with sorting out products. This roundup is so helpful! I was going to say was because I used it to place a few orders yesterday but I see there are new deals today. My Christmas shopping may be done this weekend with all these promos. Very close to overwhelming. I was never into Black Friday shopping. I bought a few things from JCrew and WHBM this past week at 35% off, and at Anthro during their last sale – and I'm happy with that – it may have cost me just a few dollars more, but some of them sold out quickly yesterday. Plus, I didn't have to deal with the traffic and crowds! Why would Anthro have 0 left of something yesterday, then a full supply today?? Hmm maybe they turned store inventory back on? Or received a new shipment of an item? I don't have a conclusive answer. Just wondering if I can trust it. There's one thing I've decided to get – a store I spoke to MIGHT do a charge send for me later when things are quieter, but I'm thinking maybe I should pull the trigger online in case the store changes their mind…..but will I ever get the item if I order it online?? Hmmmm….. I know that I bought the last of one coat from Anthro online, and I was unsure whether it would ship or not, but it did! Question, I ordered a few things for store pickup and it went through just fine. 2 hours later…. I ordered a sofa and the order was cancelled a few minutes later (so automatic). CS can ONLY tell me that someone has to reach out to me in 48 hours (scratches head). Has this happened to anyone before? The lack of information is very off-putting. Enough to keep me our of Anthro for good considering how little I've purchased in 2018. Nevermind, they are saying it's a billing issue even though my first order is fine. I'll just get a sofa elsewhere for 1/3 the price, it's their loss really lol.